What's so great about Georgia? Find out the top ten sites to see or things to do in the Peach State! Explore Georgia's stunning scenery, buzzing cities, and exciting history. The Georgia by Map feature shows where you'll find all the places covered in the book. A special section provides quick state facts such as the state motto, capital, population, animals, foods, and more. 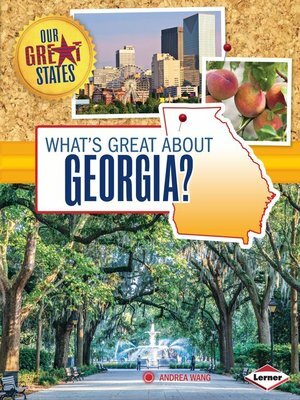 Take a fun-filled tour of all there is to discover in Georgia! Andrea Wang grew up in a small town in Ohio. Now she lives in the Boston area with her husband and two children. She was an environmental scientist before becoming an author.